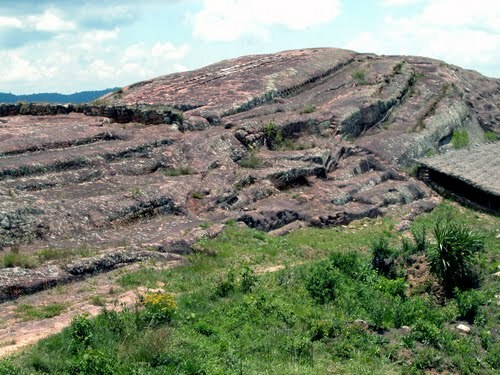 El Fuerte de Samaipata or Fort Samaipata, also known simply as "El Fuerte", is a Pre-Columbian archaeological site and UNESCO World Heritage Site located in Santa Cruz Department, Florida Province, Bolivia. It is situated in the eastern foothills of the Bolivian Andes and is a popular tourist destination for Bolivians and foreigners alike. It is served by the nearby town of Samaipata. 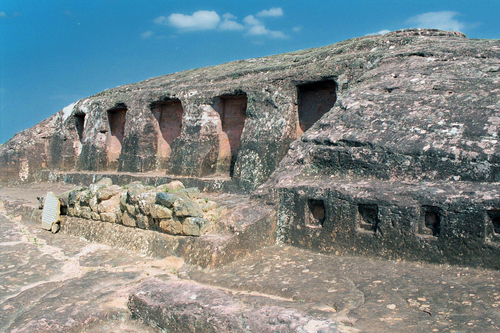 The archaeological site at El Fuerte is unique as it encompasses buildings of three different cultures: Chanè, Inca, and Spanish. 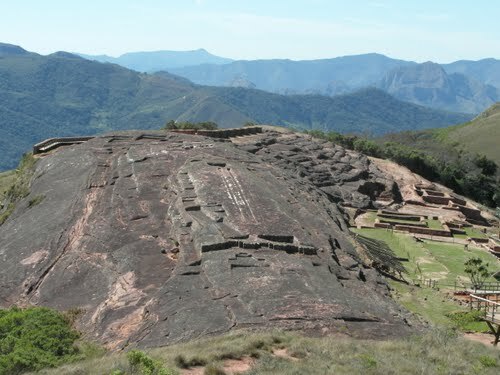 Although called a fort, Samaipata had also a religious, ceremonial, and residential function. It's construction was probably begun by the Chane, a pre-Inca people of Arawak origin. There are also ruins of an Inca plaza and residences, dating from the late 15th and early 16th centuries as the Inca empire expanded eastward from the Andes highlands into the sub-tropical foothills. Chane, Inca, and Spanish all suffered raids from Guarani warriors who also settled in the region. 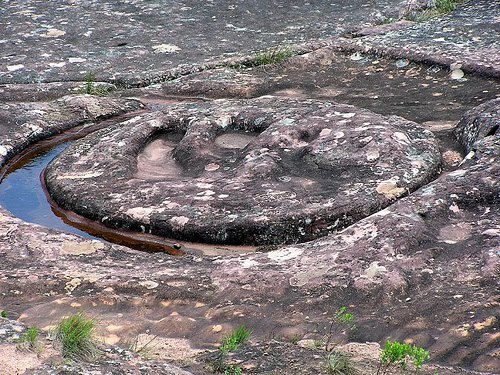 The Guarani conquered the plains and valleys of Santa Cruz and occupied the Samaipata area. The Guaranis dominated the region well into the Spanish colonial period. 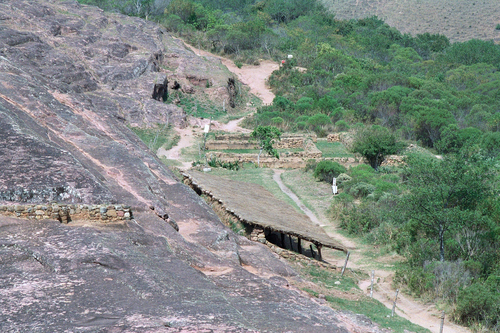 The Spaniards built a settlement at Samaipata fort, and there are remains of buildings of typical Arab Andalusian architecture. 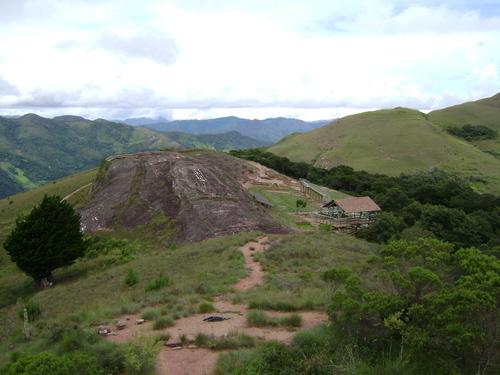 The Spaniards soon abandoned the fort and moved to a nearby valley, establishing the town of Samaipata in 1618. 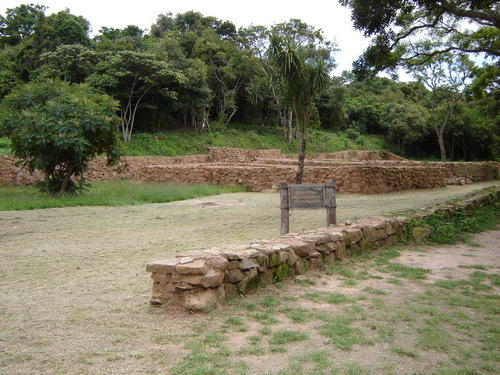 The site of Samaipata was occupied as a ritual and residential area about 300 CE by the Chané of the Mojocoyas period (200 to 800 CE). 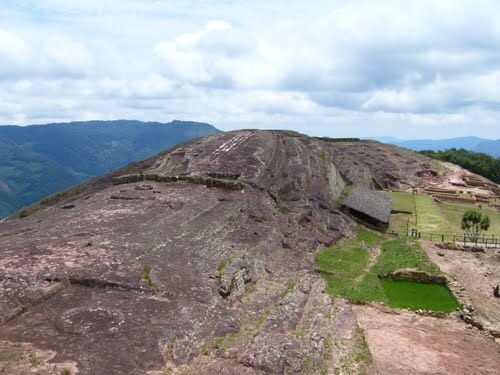 They began shaping the great rock that is the ceremonial center of the Samaipata ruin. 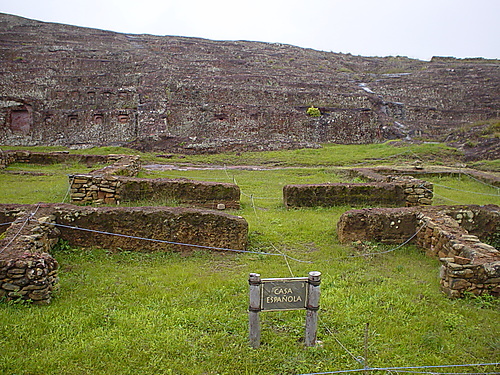 Samaipata was an Inca administrative, ceremonial, and religious center. As with other Inca administrative centers on the frontiers of the empire, Samaipata was protected by outlying fortresses. One has been located about 50 kilometres to the east called La Fortaleza. The ruins of the fort are on a mountaintop overlooking the lowlands around the present-day city of Santa Cruz. Another fortress. location unknown, called Guanacopampa protected a mine at Saypuru or Caypurum, location also unknown. The Samaipata area was one of the most isolated and easternmost areas of the Inca Empire. According to Alcaya's account, Guacane and Grigota were killed in an attack by the Guarani people called Chiriguanos by the Spanish. The Chiriguanos were advancing from the lowlands into the Andes foothills. 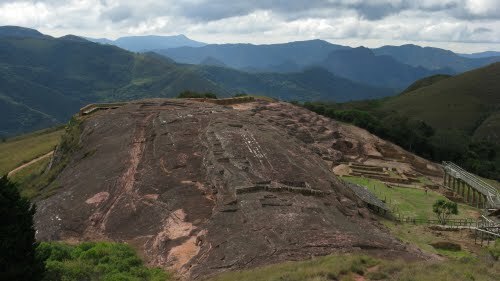 A counterattack by the Incas failed to dispossess the Chiriguanos who remained to settle in Samaipata and its vicinity. An Inca building destroyed by fire at Samaipata gives credence to this story. The date of the war is uncertain, although many authorities date the beginning of Chiriguano attacks on the Inca's eastern frontiers to the 1520s. 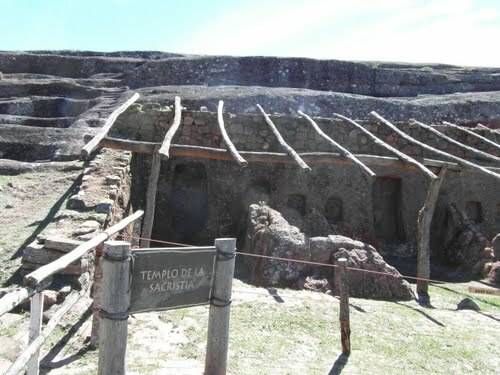 The Spanish, along with Inca supporters, may have used Samaipata as a fortress and base camp as early as the 1570s, but formal Spanish settlement began in 1615 while the Chiriguanos were still threatening. A Spanish house is among the ruins. 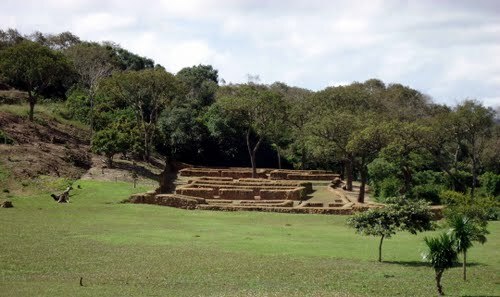 Samaipata archaeological site of about 20 hectares is divided into two parts: a ceremonial sector and a administrative/residential sector. Some of the construction of the Inca were built on earlier structures of the Chane. The ceremonial sector is in the northern part of the site. 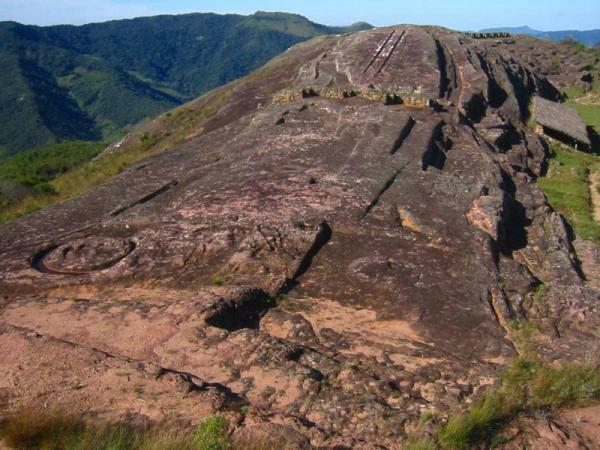 It is about 220 metres by 60 metres and consists mostly of a large rock saddle almost completely covered with carvings of both Inca and pre-Inca origin. The carvings include a variety of geometric and animal figures, walls, niches, and long canal-like carvings called "the spine of the serpent" or "el cascabel". 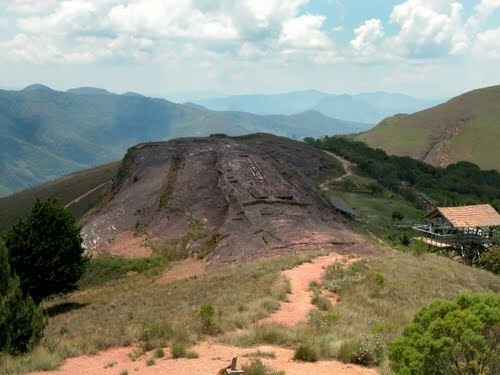 Although not the most visually spectacular, the most important part of the ceremonial sector is the "coro de los sacerdotes" at the highest point of the rock. 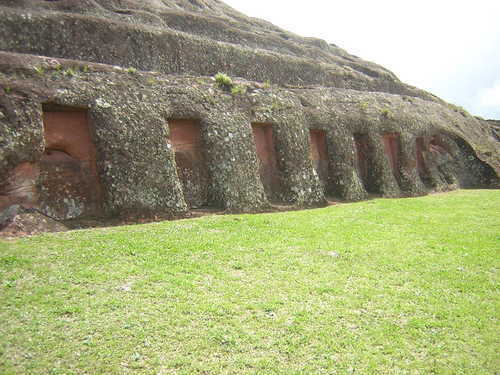 This consists of of 18 niches, probably used as seats for individuals, carved into the rock. At the bottom of the rock are 21 carved rectangular niches which may have served as residences for priests or for the storage of ceremonial items. Other niches and alcoves are scattered around the ruin. The residential and administrative center makes up the southern part of the site. 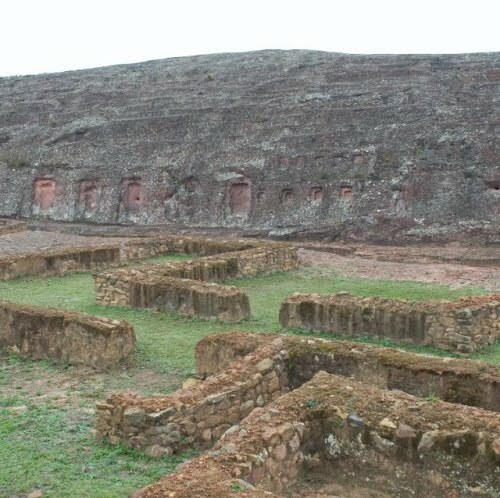 Samaipata may have been an Incan provincial capital and has all the infrastructure associated with that status. The most prominent feature is a large trapezoidal plaza about 100 metres on each side bordered on the south by a "kallanka," a rectangular building typical of Inca cities and symbolizing Incan political power. The kallanka, 70 metres in length and 16 metres wide was used for public gatherings, feasts, and housing visitors and soldiers. 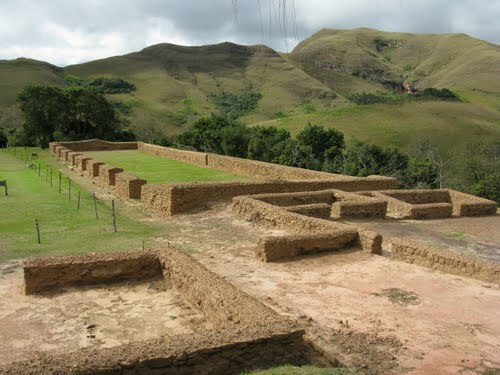 The kallanka at Samaipata is the second largest in Bolivia, but apparently construction was interrupted as the drainage canal and thatched roof were not completed. Also in this sector is the Acllahuasi, a nunnery for women chosen to weave textiles for the Incas, become wives of Inca nobles, participate in ceremonies, and, on occasion, be sacrificed in religious ceremonies. The existence of an Acllahuasi was typical of important Inca settlements. 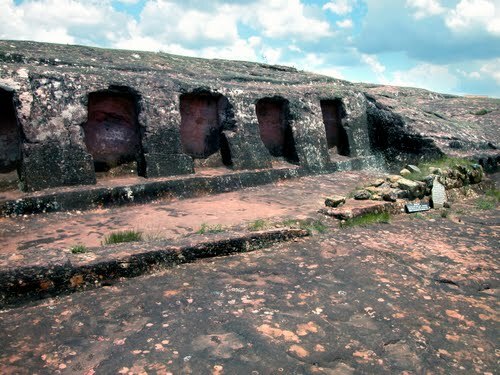 Bolivia - El Fuerte de Samaipata - Sitio Arqueológico - ruinas pre-incaicas de la cultura " C H A N E´ "